Interstate Container Cambridge received Global Green’s 1st CoRR Pioneer Award for GREENCOAT® on 6 December 2010. Interstate Container Cambridge, Maryland-based corrugated manufacturer, received the Coalition for Resource Recovery (CoRR) 1st Pioneer Award for its environmentally-friendly wax alternative GREENCOAT® corrugated boxes for poultry packaging. GREENCOAT® wax-free coating can also be used in meat and seafood packaging. Receiving the award were Jim Morgan, Interstate Resources CEO; Pete Bugas, Interstate Container Cambridge General Manager; Jeff Cormier, Interstate Container Cambridge National Sales & Marketing Manager; and Scott Caldwell, Interstate Container Cambridge Business Development Manager. Interstate Container Cambridge’s GREENCOAT® coating uses alternative recyclable resources, instead of wax, cutting down immensely the amount of unrecyclable packaging ending up in landfills. Waxed corrugated packaging cannot be recycled. The award ceremony recognizes and celebrates the achievements of individuals and companies in media, building, industry, and public policy paving the way for positive changes. 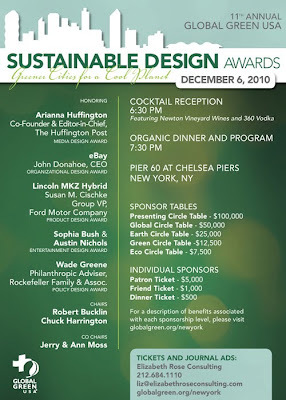 Furthermore, the event serves as a channel to increase awareness and funds in support of Global Green USA initiatives. Global Green USA is an American non-profit organization branching from Green Cross International. The organization’s goal is to foster improvement in the global climate and make positive changes by promoting households, schools, and cities to take green energy-efficient initiatives. Interstate Container Cambridge, is a member of Interstate Resources Container Division a member of INDEVCO Group, the 'Local Multinational of the Middle East'. To request information about GREENCOAT® wax alternative boxes, contact:greencoat@interstateresources.com.